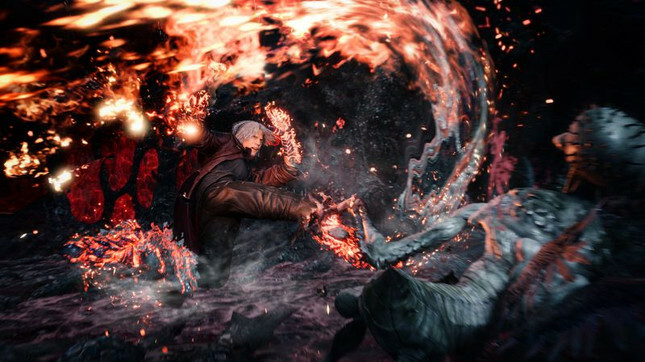 Capcom just blessed us with an outrageous new trailer Devil May Cry 5 at Tokyo Game Show. 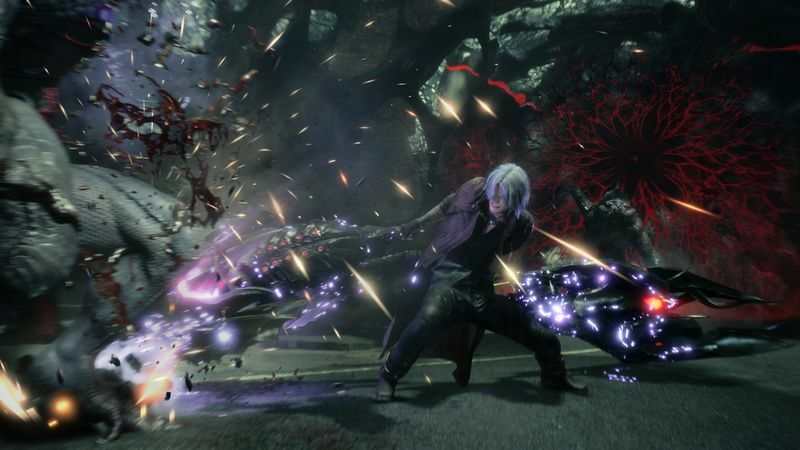 The trailer offers an expanded look at series veteran Dante, Nero and V, the new playable character, who speaks rather poetically. Dante wields his trusty sword, Rebellion and iconic hand guns, Ebony and Ivory in action packed scenes the series has become iconic for. DMC has always embraced the absurd, and things are no different this time. Dante has a new weapon in the form of his motorcycle, which splits into a pair of huge blades. Nero is also getting some new weapons, including a Mega Man inspired Devil Breaker. There's also the bizarre Pasta Breaker which “makes pasta extra easy to eat”. No idea how well this will work in battle as there's no sign of any spaghetti monsters in the trailer. Check out the amazing trailer and new screenshots below!